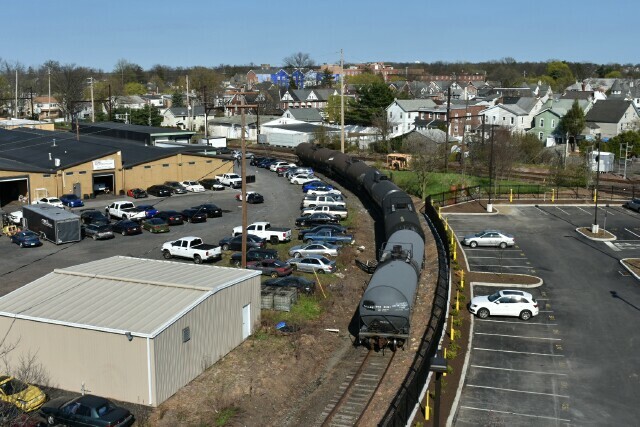 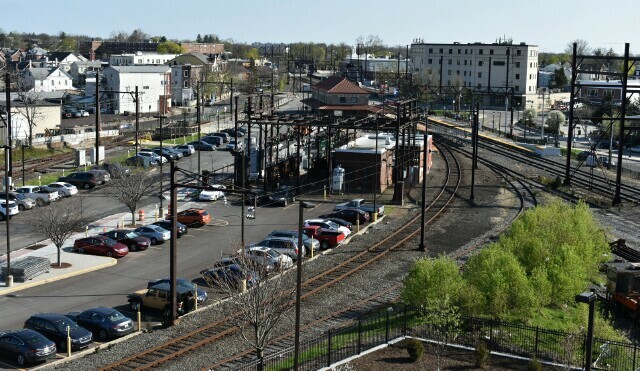 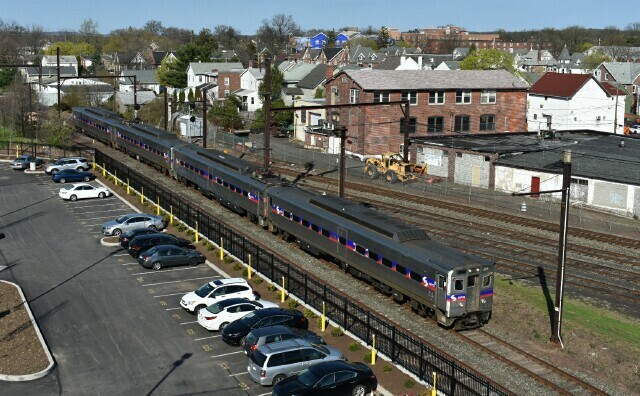 The views from SEPTA's new parking garage in Lansdale. 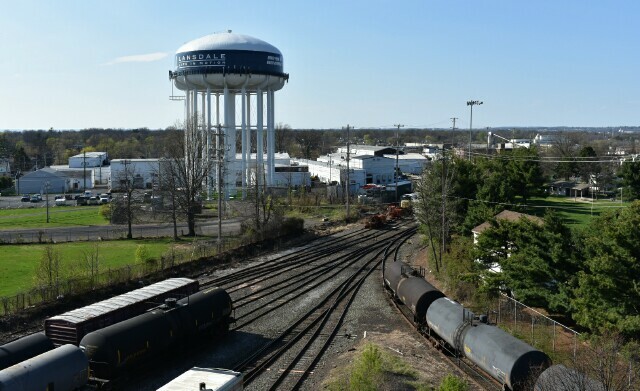 The bridge over the PN tracks to the site of the future Madision housing complex. 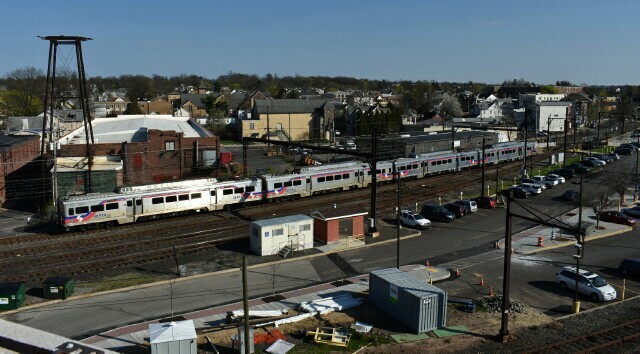 The substation and passenger station with the Doylestown Line and Bethlehem Branch.